Posted in Graduation and tagged candy melts, chalkboard, chocolate bars, college, diploma, dollar store, grad caps, grad party, graduate, Graduation, hershey kisses, high school, hohos, kindergarten graduation, kiss stickers, kisses, middle school, mortar board, party table, preschool graduation, Printables, smarties, tassles, water wraps. Bookmark the permalink. If you can dream it, I can theme it! Please feel free to email me with custom theme requests. Think outside the box! 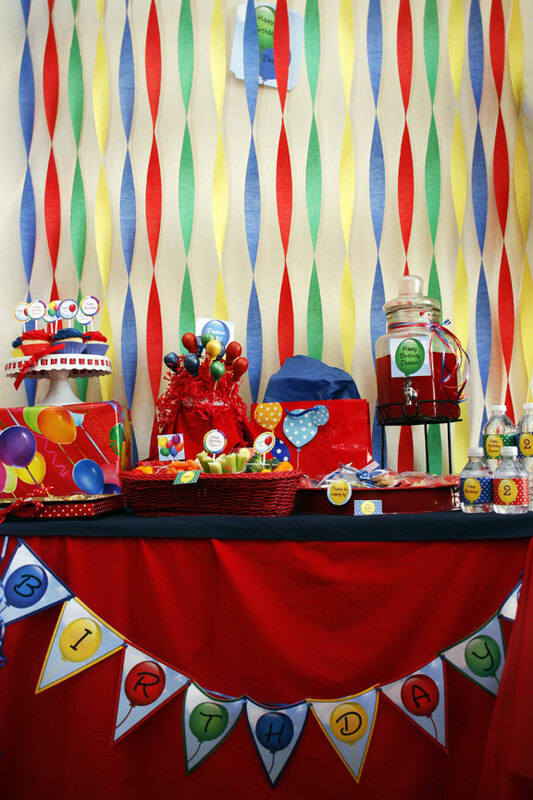 Did you know a party theme can be any color (how about a BLUE party? ), any pattern (houndstooth? paisley?) a verb, a noun, and just about anything animal, vegetable or mineral!? 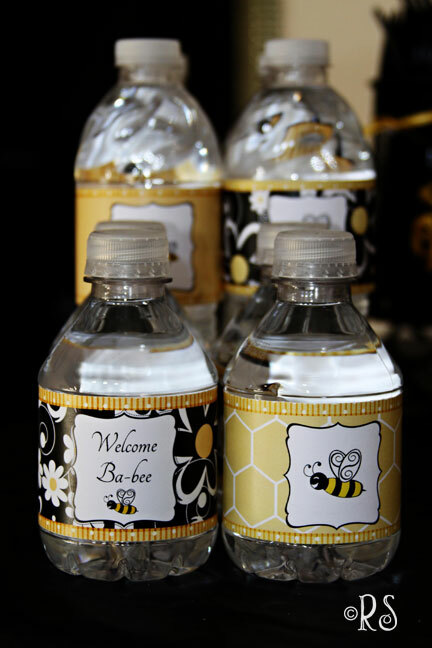 Does the person you are hosting the party for have a favorite saying, hobby, toy, or dance? 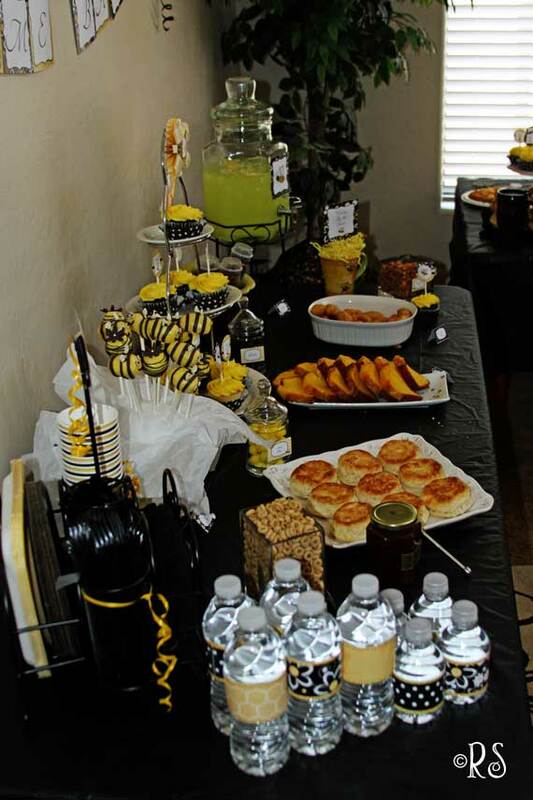 Posted in Uncategorized and tagged party styling definition, party theme ideas. Bookmark the permalink. 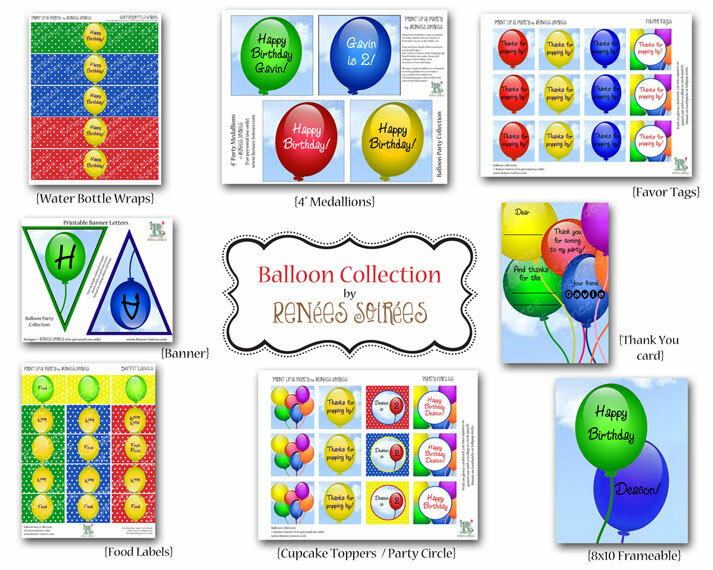 This balloon collection was inspired by my toddler, who LOVES balloons and thinks they are called “BOW-loons”. 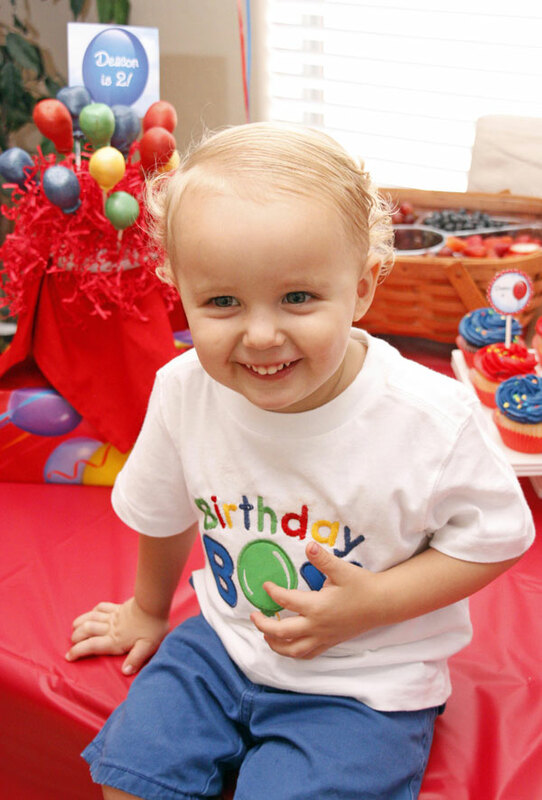 So I knew that his 2nd birthday just had to be full of BOW-loons and bright, primary colors. 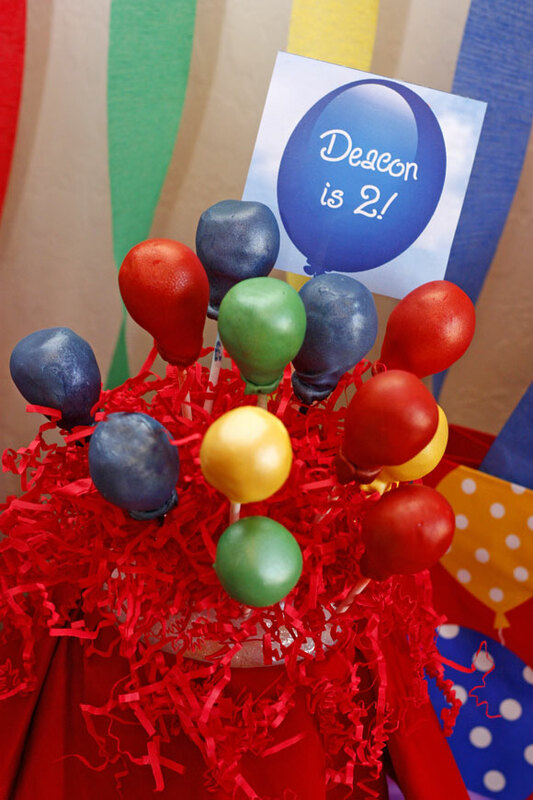 I hope you enjoy some photos of Deacon’s recent Balloon Party! 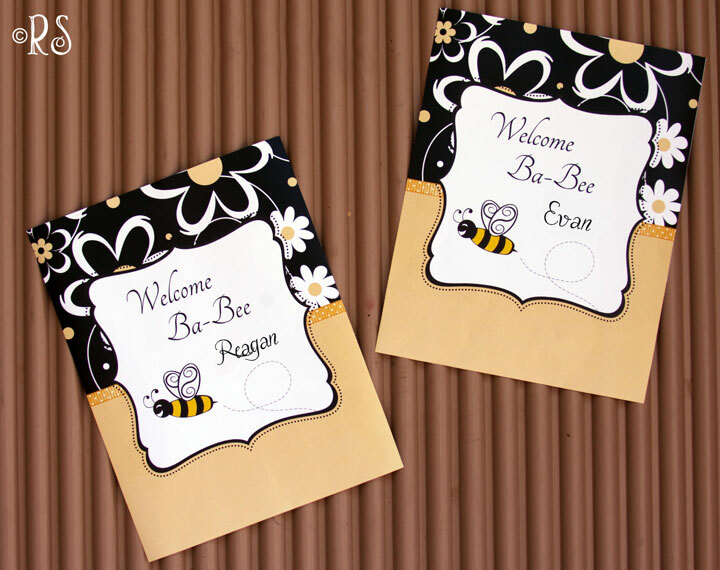 I printed up the invitations as a regular color copy, in 4×6″ size. Any bigger than that and you will have a hard time finding a balloon long enough to hold it. 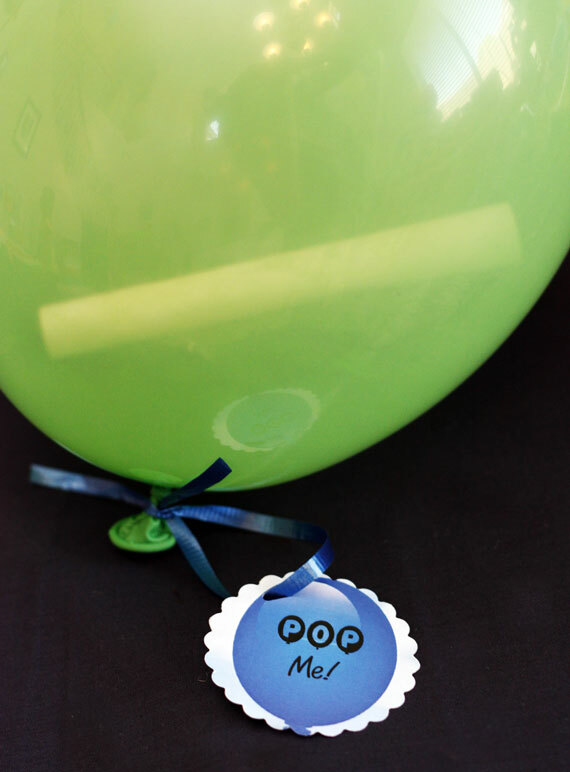 I rolled the invite tightly, taped it, and had someone hold the mouth of the balloon open a bit while I slid it in. Then I added some confetti and blew up the balloon. 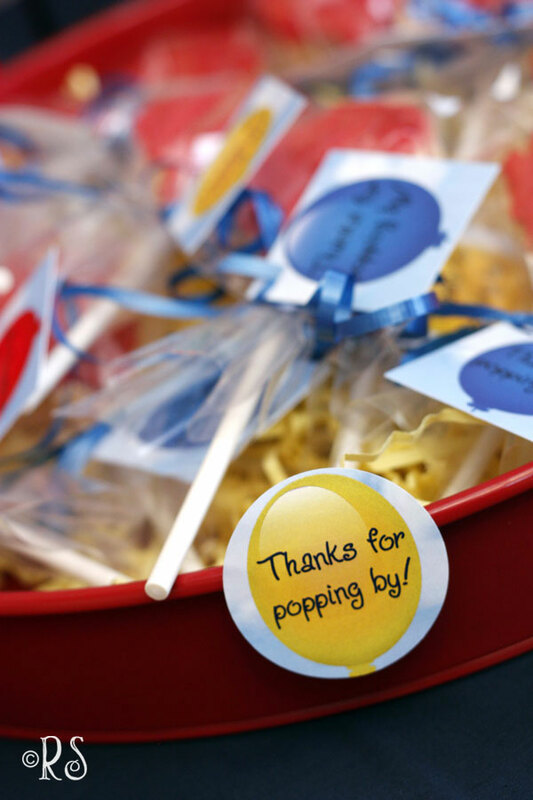 I attached a tag that said, “POP ME!” so the kids could get excited about the party. 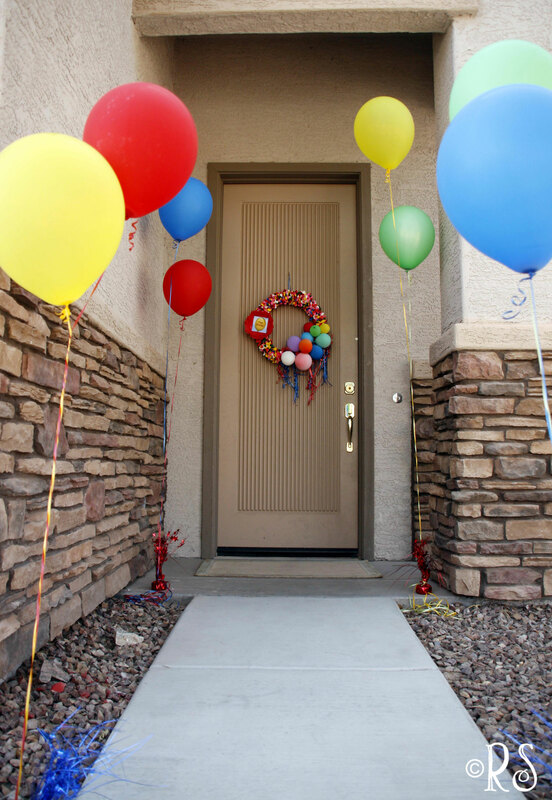 Guests were greeted by a path lined with balloons increasing in height, so as to build anticipation! 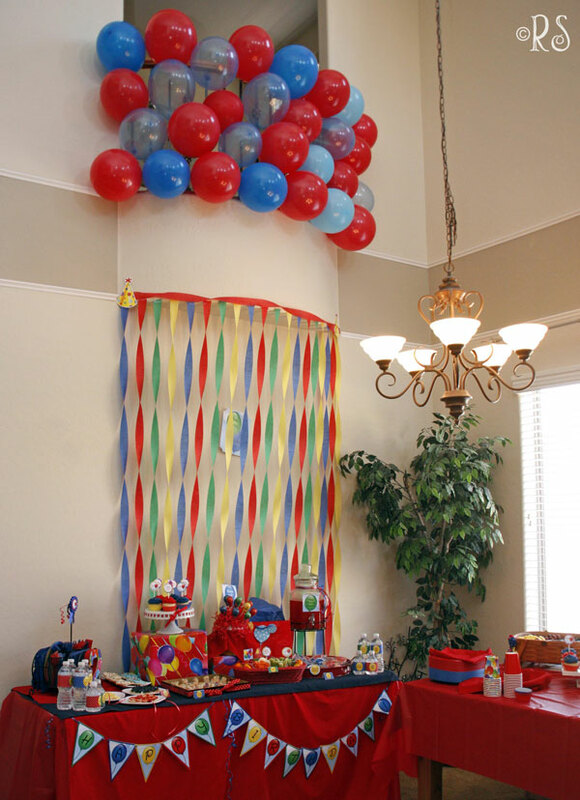 We decided to give the decorations ‘height’, just because it was a Balloon party. So we utilized the balcony (which my kids call the ‘Rapunzel Room’). 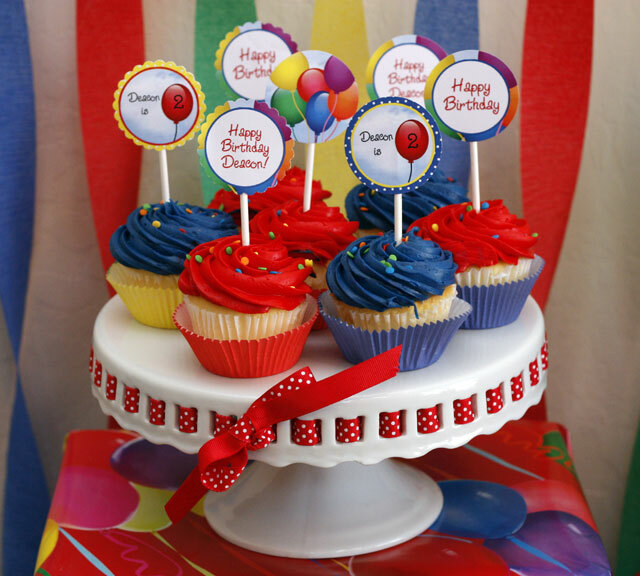 Who says Cupcake Toppers are just for cupcakes?! 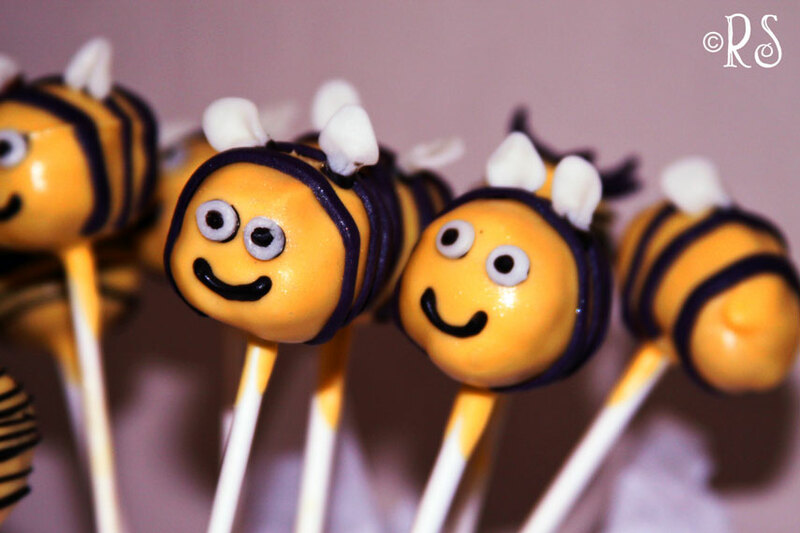 These adorable balloon-shaped cake pops made the kids positively wide-eyed! 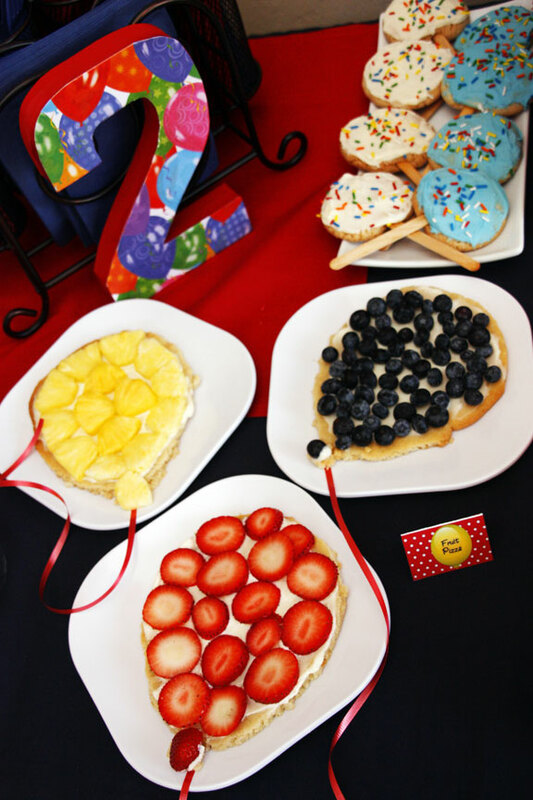 The balloon-shaped Fruit Pizzas were my idea. What do you think? Hit or miss? 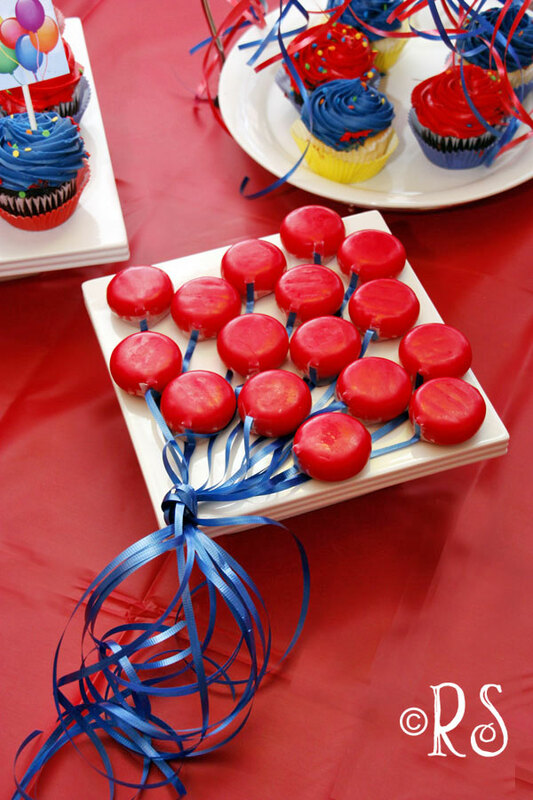 And this may have been my favorite part of the whole party… I handed my assistant a bag of Babybel cheeses and asked her to make them look like balloons. ADORABLE! And a great way to get some healthier foods into the mix. 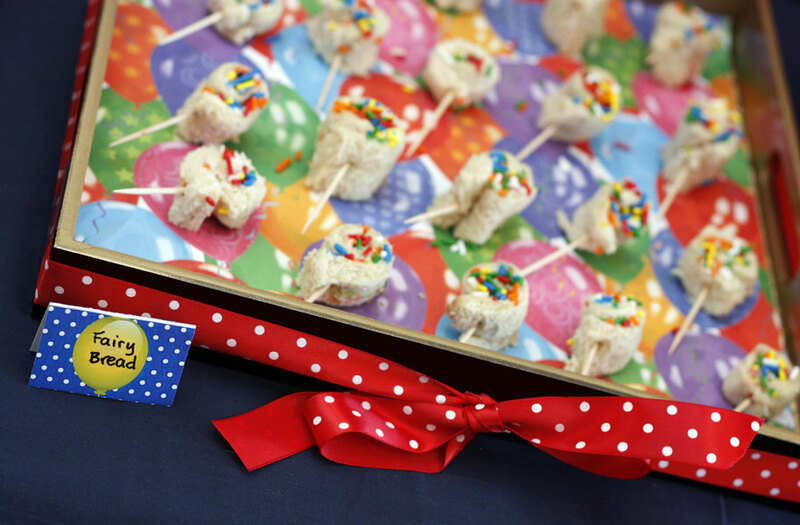 My Aussie mates know that no kids party is complete without FAIRY BREAD! But I decided to pinwheel them to give them a balloon look. For non-Aussie readers, Fairy Bread is very easy to make, and very popular with the Tin Lids (aka KIDS). 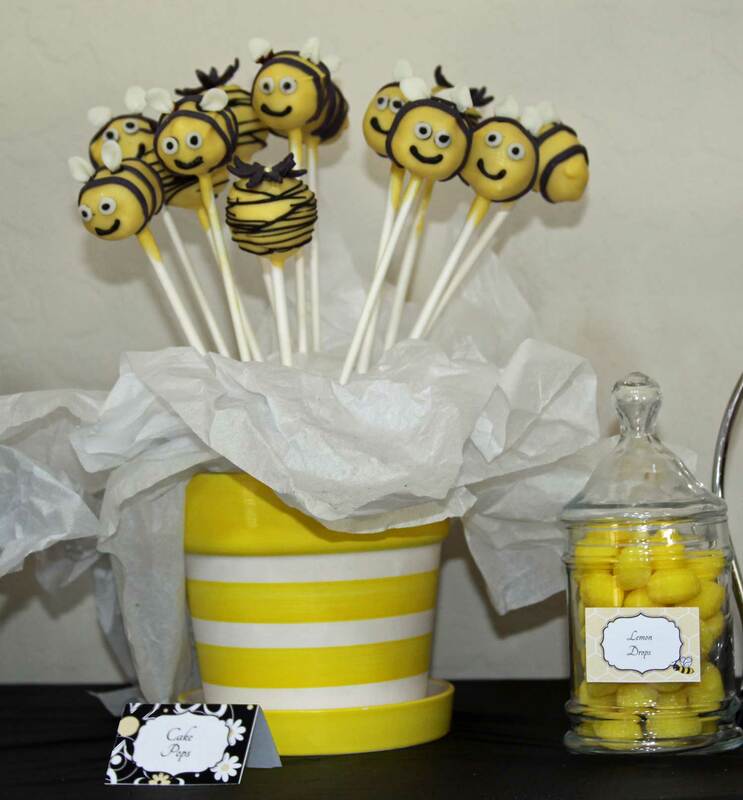 And here are the favors… the kids got a box with a water balloon kit, a helium balloon tied to it, and a Rice Krispie balloon pop. 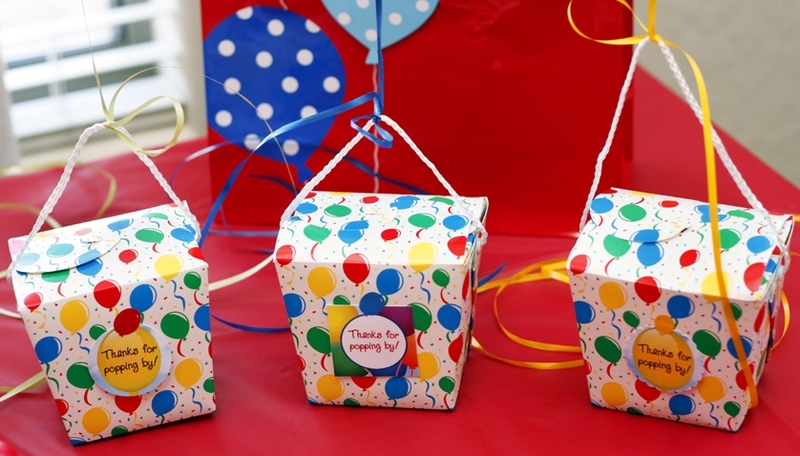 I attached the Favor Tags included in this collection to the box with a balloon sticker from Creative Memories. 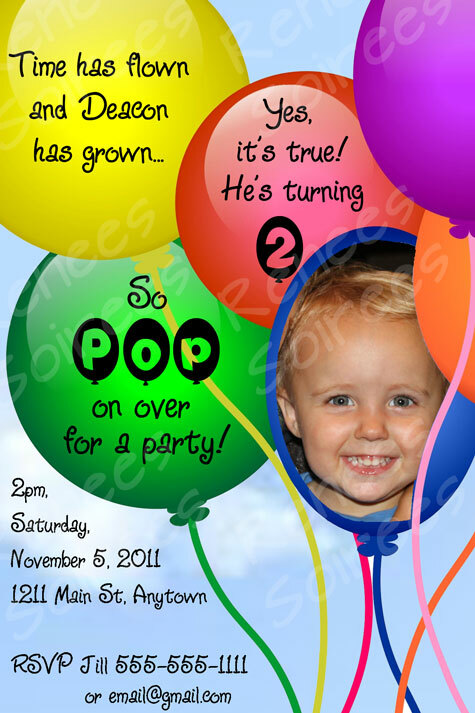 Here is the invitation, it can be personalized with or without a photo. 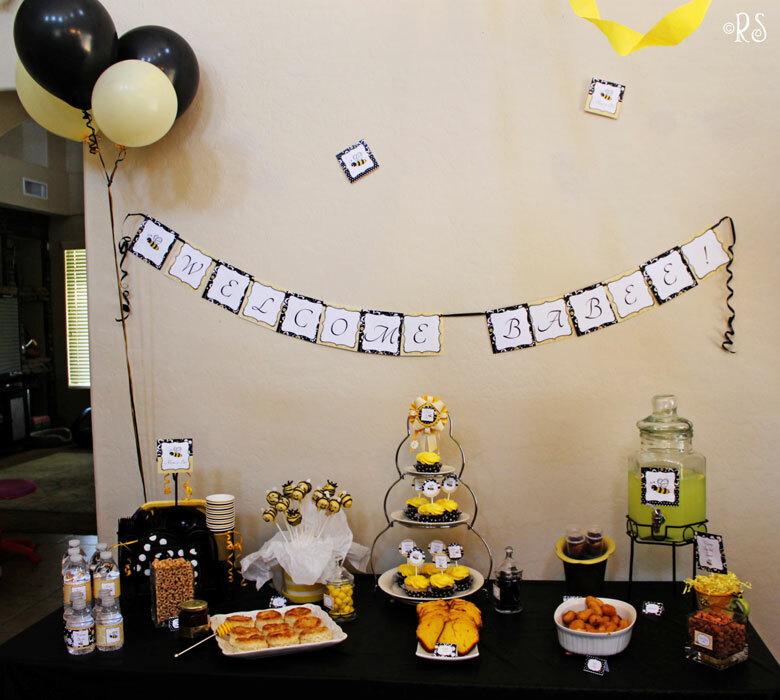 I could see this collection being adapted for many different functions: a Welcome Home party, graduation, or pretty much any occasion where balloons would be welcome (and for me, that means ALL occasions. LOL). 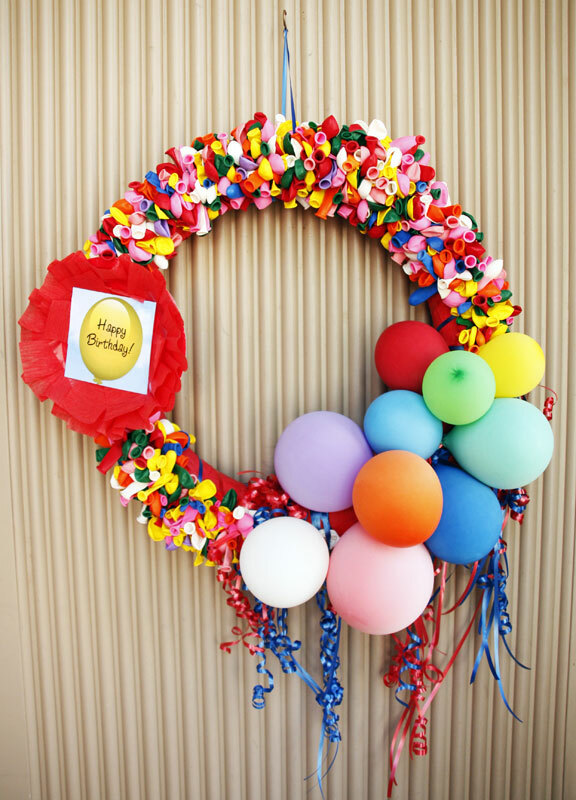 See my Balloon Pinterest board for more ideas! 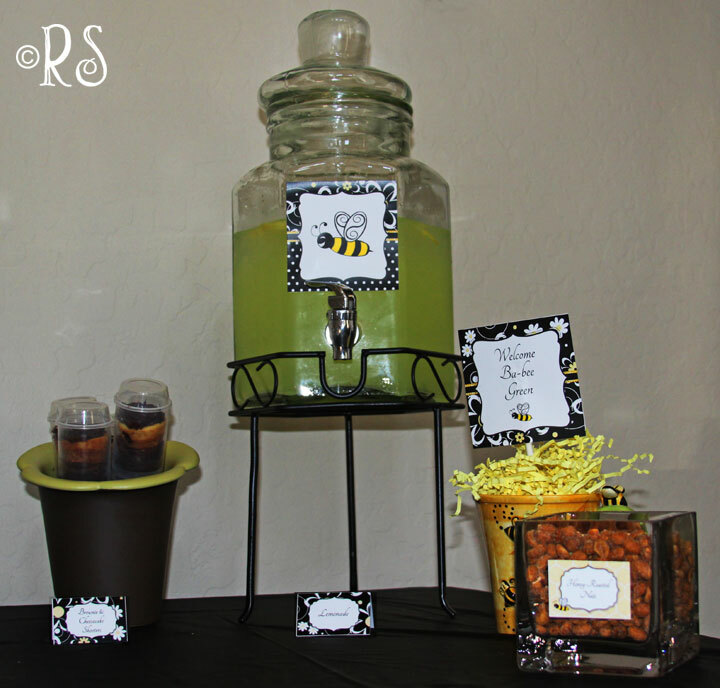 Photos by Rule of Faith Photography, Phoenix, Arizona. Red basket (for veggies) from Sur la Table – now on clearance for 75% less than I paid! Posted in Boys, Co-ed, Girls, Graduation, Parties and tagged balloon, blue, boys, cake pops, girls, green, red, Yellow. Bookmark the permalink. Posted in Parties. Bookmark the permalink. 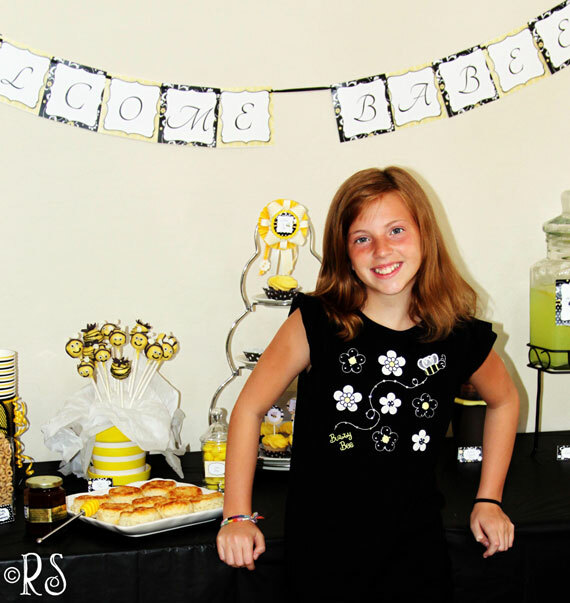 If you love the Angry Birds game /phone app as much as my kids do, you will love this party idea! This amazing PLAYABLE CAKE (yes!) is made of a little chocolate cake, a lot of fondant, some chocolate covered wafers, and a repurposed kids slingshot toy. See here for a video tutorial if you want to make your own! Most of the cake was made of colored fondant, like this red bird, ready to catapult towards the pigs. 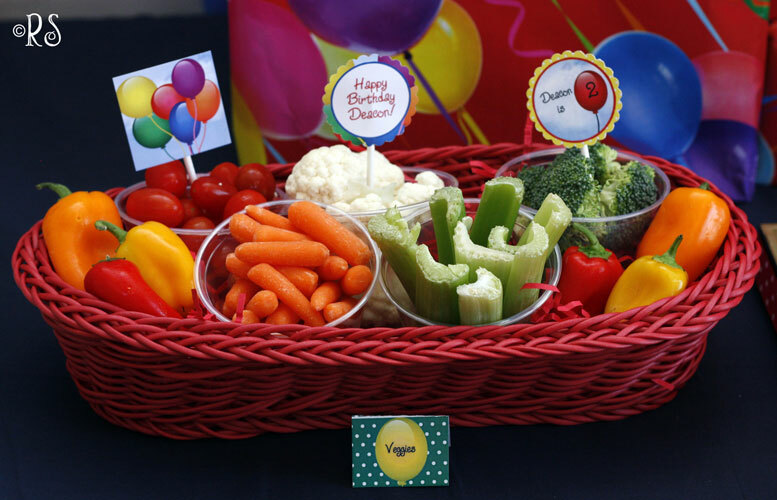 The snack table was called “Bird Feed.” And funnily enough for a 6-year-old’s birthday party, the most popular item was the persian cucumber slices! Not offering chips or cookies was probably the key. These fantastic 3D balloon faces were found here. My son was obsessed with the ‘Bomb Bird’ and loved the edible cupcake toppers. 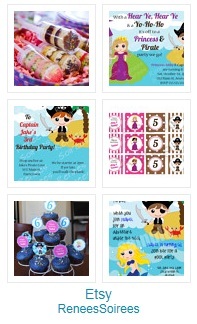 If you would like to order Angry Birds Party Circles (aka Cupcake Toppers or Favor Tags), please see my Etsy shop! 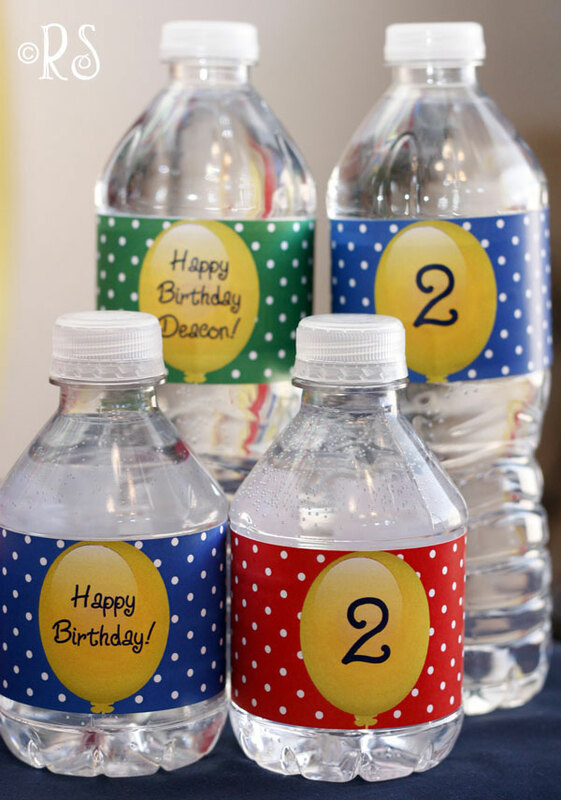 Other fun ideas for your Angry Birds party! And if you don’t know what all the fuss is about, you can play Angry Birds on your PC, via Google’s web browser Chrome. Posted in Co-ed, Uncategorized. Bookmark the permalink. And the amazing custom Magic Hat cake, complete with wand! Made by the Cake Cafe in Ahwatukee, AZ. 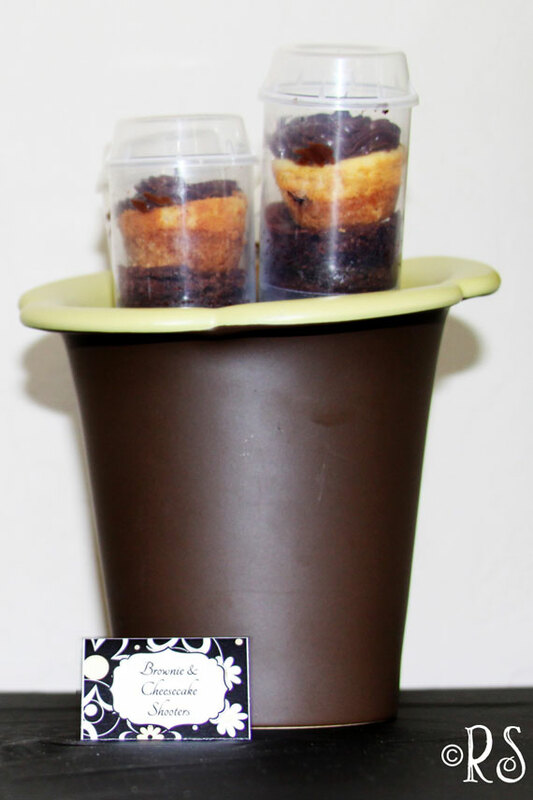 I made some cake shooters, consisting of mini chocolate cupcakes, and red frosting. 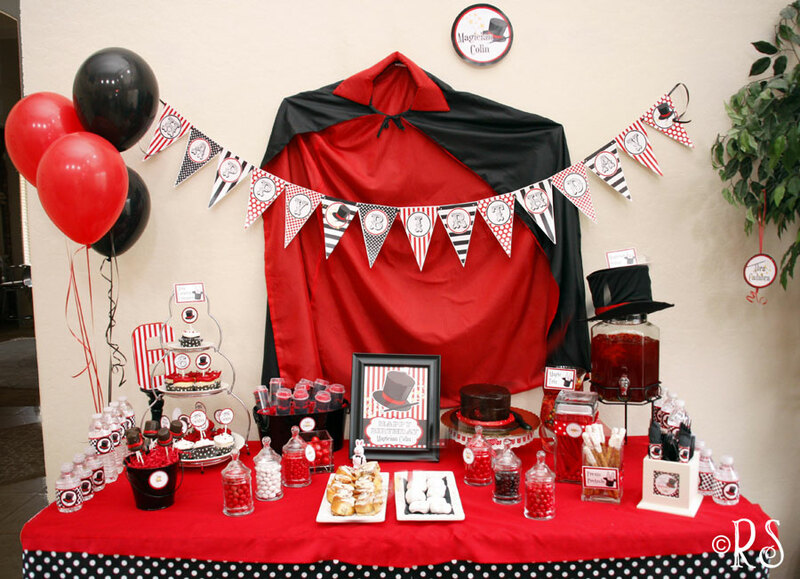 Posted in Co-ed, Parties and tagged Birthday, Dessert Table, Magic Party. Bookmark the permalink.